It’s been four years since Christopher Nolan’s superhero masterpiece, The Dark Knight, came flying onto the big screen grossing over $1 billion in box office revenue. To say the The Dark Knight set the bar high for the superhero movie genre would be a bit of an understatement. Not only did The Dark Knight leave comic book fanboys in awe, Nolan’s film achieved storytelling feats no other superhero movie to date has been able to do. The Dark Knight became far more than just your average popcorn flick about a man in a cape smashing and blowing things up. It explored themes as heady as the institutional corruption of the modern American city, the nature and utility of law and order, and the ethical and moral dilemmas encountered when pure evil rears its ugly head and the good guys seemingly have no good answers. With all that in the rear view mirror (not too mention the late Heath Ledger’s stellar performance as the Joker), a follow-up film seemed destined to crack under the weight of the franchise’s own success and expectations. When Nolan announced he would indeed direct a third film to complete his Batman trilogy, fans everywhere were thrilled and uneasy of what would come. Sure, Nolan teamed with his brother Jonathan and writer David Goyer hadn’t let audiences down yet. But how long could they keep that streak going? Failure, or at least, mediocrity (which may be worse) appeared ready to cap off one of the most successful and critically respected superhero franchises in history. Fortunately, The Dark Knight Rises doesn’t disappoint. 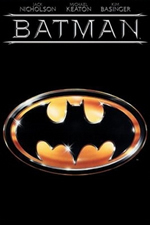 Jumping ahead eight years following Batman’s epic confrontation with the Joker, Bruce Wayne (Christian Bale) finds himself still grief stricken following the death of love interest Rachel Dawes (Maggie Gyllenhaal) and has donned the reputation of a reclusive eccentric. Wayne Enterprises is financially crumbling both due to inattention on the part of Wayne and the failure of a fusion reactor project undertaken by Wayne Enterprises and the company held by Wayne Enterprises board member Miranda Tate (Marion Cotillard). Wayne has also retired from his days as the Caped Crusader as a result of taking the blame for Harvey Dent’s death as well as physical injuries that have left him decrepit. While Batman is gone, Gotham City now finds itself largely in a state of peace due to the implementation of the Dent Act. Passed out of reverence for the late district attorney turned Two-Face, the Dent Act’s series of new police powers have allowed Commissioner Gordon to essentially wipe out organized and violent crime in the city. While Wayne and Gordon’s plan has worked to save Gotham from its rampant crime problem, both men find themselves living under the crushing weight of perpetuating the lie of Dent’s innocence and heroism and storm clouds appear almost as quickly as the movie begins. While Gotham City seems safe and sound, a confrontation between an infamous cat burglar named Selina Kyle (Anne Hathaway) and Bruce Wayne leads Wayne to suspect something sinister is on the prowl, drawing him out to again wear his famous black suit while, at the same time, an investigation begun by a Gotham City police officer John Blake (Joseph Gordon-Levitt) into the death of a teenager brings Commissioner Gordon face to face with the movie’s main villain, Bane. Almost as quickly as the movie begins, the fireworks start to blow leaving Batman and Gotham’s finest struggling to understand just what the psychotic Bane wants with the city of Gotham and how just to survive his seemingly unstoppable strength and cunning. As the movie heads towards its finale, the twists and turns will leave you guessing just where Nolan is going to take you. While The Dark Knight Rises doesn’t quite live up to The Dark Knight’s high brow pondering nor the film’s carefully crafted, almost symphonic delivery, it compensates with a thrilling pacing that completely engrosses you as quickly as you sat down in your seat. If you were someone who felt The Dark Knight took itself a little too seriously, Nolan tones things down just enough to find a sweet spot for you in the trilogy’s finale. Still, this is well-polished and substantive cinema at its best. The acting this time around is extremely good. Bale, Caine, Freeman, and Oldman all offer great performances on par with their earlier work. Anne Hathaway’s performance as Selina Kyle/Catwoman avoids all the cheese and kitsch of former manifestations while adding, along with Freeman’s Lucius Fox, just the right amount of comic relief to keep the film from traveling too far down the darker side of things. Marion Cotillard, as usual, plays her role as Miranda Tate with a poise and class rarely seen from today’s actresses. Tom Hardy plays his role as Bane with a frightening ferocity that leaves the viewer truly questioning whether the good guys can really come out on top. But the best performance comes from Joseph Gordon-Levitt’s John Blake who plays a once orphaned street kid turned Gotham City police officer. Gordon-Levitt deftly gives audiences a character they can relate to: a heroic everyman whose thirst for justice leaves him asking just what is the right thing to do inside a calloused and corrupt society. All in all, this is simply the best movie of the summer. While The Avengers was good fun all the way around, The Dark Knight Rises gives audiences the perfect balance between sweet and substance. The acting and directing are first rate, and the story gives a satisfying end to the Nolan Batman trilogy. While I’m sure Warner Bros. won’t let the Batman cash cow sit for long, Nolan gives audiences a movie that completes his vision and will long be celebrated for its artistic vision. Hats off, Christopher Nolan and company. Well done. To start with, I will say that I did enjoy The Dark Knight Rises. That having been said, I will also say that, unlike the previous two films, I left the theater with a general sense of disappointment. In essence, this film was the “Phantom Menace” of the series. Again, disclaimer, I enjoyed the film, but it suffered for several reasons – it explained too much, got lost in subplots and sidestory, and was occasionally a bit heavy-handed in the winks to the audience. In fact, when I did feel emotion at the end, it was almost more like I had been tricked somehow. I felt an emotional surge, but wasn’t really sure why. It’s hard to put my finger on what it was exactly, but I was very consciously aware about halfway through the film, that there was way too much exposition going on. Don’t get me wrong, I like me some exposition, but there is a point where you get lost in it all. Really, if I could revamp the film, I would trim up about an hour from the middle just by condensing some of the unnecessary side ventures, and tack the hour onto a post-logue, since the ending set up some interesting stuff that will never be realized. Maybe that’s also part of it. Nolan and Bale have both said this is it. Done. They were hesitant to do this. So no 4. It’s a trilogy. End of story. Warner Bros has already said they plan to continue the Batman franchise but with a new director and the good ol’ reboot method. So to have the film end with a sense that the Nolan Batman-universe will continue, even though it won’t, leaves a strong sense of incompleteness and anticipation that I know will be unfulfilled. And you’re right, Gordon-Levitt is the standout of the film. Although, there again, his character was inexplicably suddenly central to everything. Don’t want to spoil anything, so I can’t go into it further, but his character almost seemed forced on the situation, even though I enjoyed his performance. So…. yeah. I recommend it, it’s worth the money to see, but it left me wanting. I still have to say that Avengers is the king of the summer movie season, but I’ll give TDKR a worthy nod. Still deciding exactly what I think of TDKR, but it definitely beats Avengers. Av.s was just an explosion fest. TDKR had a brain. The “Bat” was awesome, too!